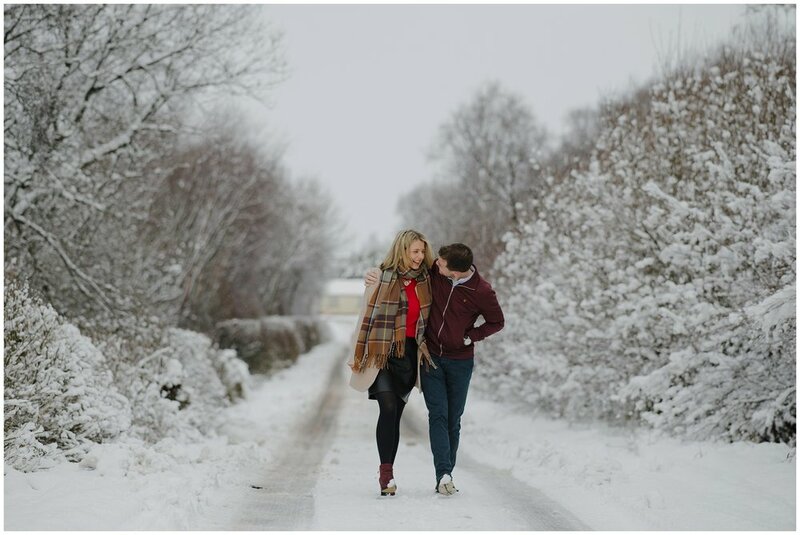 Heavy snow put an end to Adela and Rossa's planned pre wedding shoot in Gortin Glens and so instead we went with the country road I live on after my car was unable to make it off the drive! 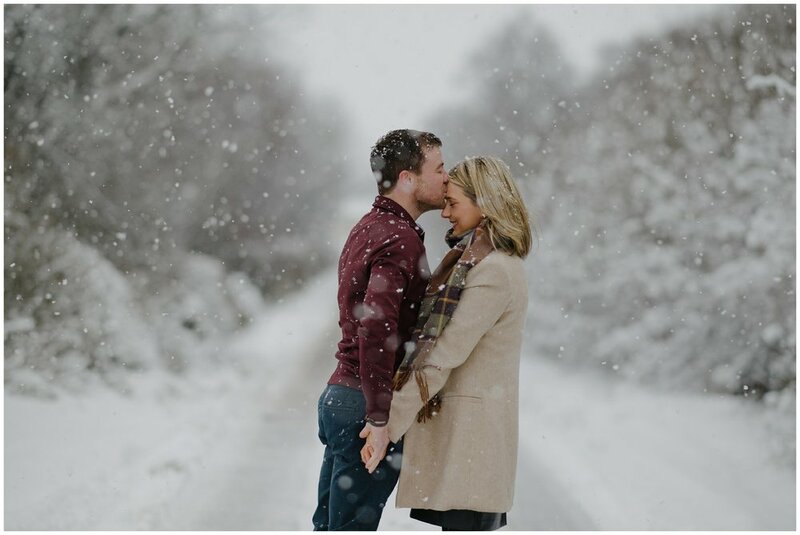 The tree lined road filled with heavy snowfall made a perfect backdrop. 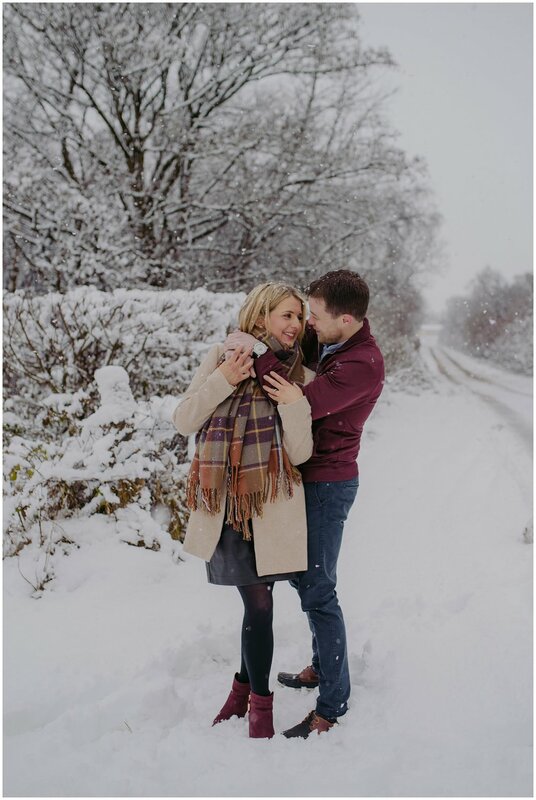 Minutes into the shoot the snow started to fall, could not have worked out better!